Billy English, a recently graduated doctor from Bart’s and the London Medical school, recently travelled to Thailand and while he was there, he observed our cleft team. I’ve been interested in ear, nose and throat surgery (ENT), head and neck surgery and facial plastics for some time, so when I was given the opportunity to observe the work of Transforming Faces in Thailand I jumped at the chance. What especially excited me was the isolation of the project and the large and varied patient population in that area of Thailand, with the majority of patients being from local tribal communities in Laos or Burma. 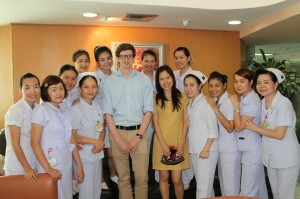 I spent five weeks in Chiang Rai working with the local charities involved in cleft care in Northern Thailand – namely the Northern Women’s Development Fund and the YMCA. These teams are funded by Transforming Faces. It is an incredible project and I am very lucky to have been able to observe it. Over the five weeks that I spent in Chiang Rai’s Overbrook Hospital, I observed two cleft palate repairs and one cleft lip repair (a unilateral cheiloplasty). I also have an interest in ENT, so I observed all the follow up appointments in the ENT clinic with cleft patients. This probably totalled 25 patients in five weeks. This gave me an invaluable insight into many aspects of aftercare including: wound healing post-operatively, voice restoration and speech therapy, social care and the multidisciplinary approach to problems associated with cleft lip and palate (such as otitis media). Outside of the hospital, I worked extensively with the social care team and outreach team from the Northern Women’s Development Fund who find new patients to introduce to the surgical team and who follow up with patients who have already had surgery. They also provide follow up care to patients who are too isolated to come to the hospital by transporting speech therapists to their homes. 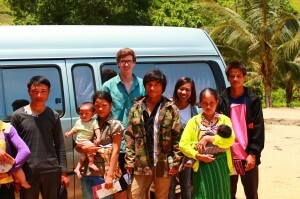 I travelled with this outreach team to the borders of both Burma and Laos. The conditions were tough and this was a kind of medicine and medical care I had never come across before, but one that is the only option in this difficult terrain. 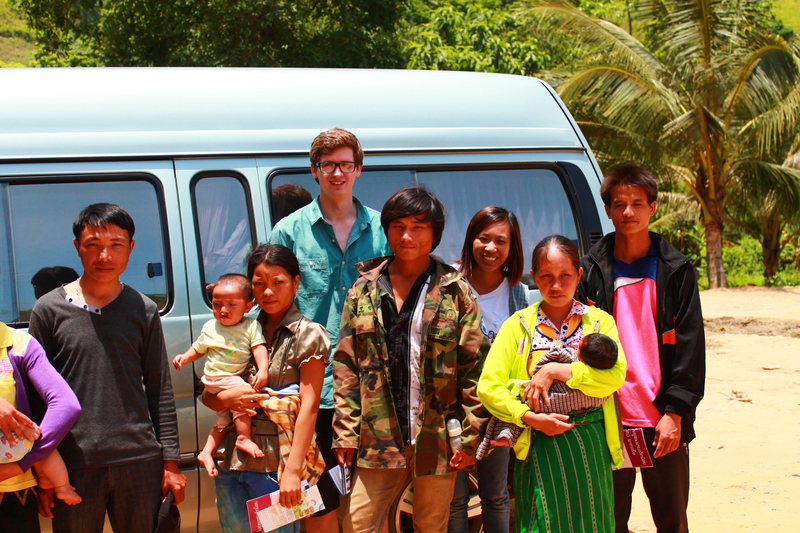 Our clinic on the border of Laos was actually on the road of the border crossing. We sheltered under trees in the midday Sun while families who had travelled long distances across Laos with their young babies came to see if they could be helped. It was a truly surreal experience for me to watch the team assess these new patients while the Laos Army border patrol watched on drinking coffee. What struck me particularly was the depth of poverty that these families were in and how openly grateful they were that there was somebody here to help their child and remove them from what would almost certainly be a very difficult life. Overall, my experience working with Transforming Faces was amazing, it was an eye opening experience for me and one that I will never forget. It was incredible to see the difference this care made to the lives of the patients and their families. Equally it was a privilege to work with the team that made this possible, everyone from the street volunteers to the plastic surgeon had incredible passion for this project and cared a great deal. I had the most incredible time over my five weeks in Chiang Rai. I saw a variety of disease that I don’t think I could see anywhere else in the world. I confirmed in my mind just how much I want to continue to pursue a career in head and neck surgery. But most importantly I had a truly amazing time with a great group of people.